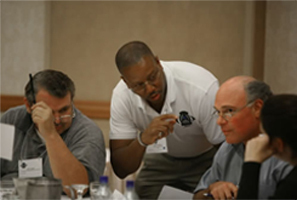 Providing training for communities, small and medium businesses, large corporations and government organizations. Response and recovery activities occurring before, during, and after an emergency or disaster has occurred. Manufacturing and Industrial Sector to Education and Health, Law Enforcement, Civilian and Government Sectors. 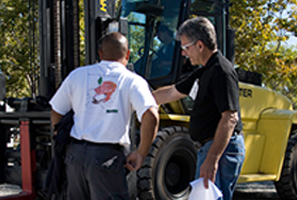 Courses that are mandated by OSHA and various other regulatory agencies and they cover a wide range of topics. Receiving the proper training that is compliant and to the current standards and regulations, helps to minimize risk, improves the safety of individuals, instills confidence in first responders and provides regulatory insight to the management teams responsible for their training. Being compliant means being up-to-date on the latest standards and regulations. First On Compliance adhears to state, goverment and other regulatory agencies in our training. Educating clients on these regulations, greatly improves their understanding and the potential impact it may have in the work they do. OSHA, FEMA, NIMS, CDC are just a few, each state also has their own regulatory information and policies. NASA Standford University and FEMA to name just a few. "I was dreading the CPR & AED class and kicking myself for missing, by two months, the chance to take the review class. Imagine my surprise when the time flew by in the class because I was enjoying it so much. It was the best safety class I have ever taken!" "First-On Compliance is one of our preferred subject matter experts in the field of emergency management planning, training and exercises. David is always one of the first phone calls we make when we need an SME with real-world experience and the ability to turn that into innovative solutions and training and exercises for our clients." to ensure compliance with State and Federal requirements." communication skills, professionalism and enthusiasm." in this field is an invaluable asset"
the required certification needed to further my career." We are dedicated to providing safety and preparedness training for all types of emergency/disaster scenarios. We service communities, small and medium businesses, large corporations and government organizations. 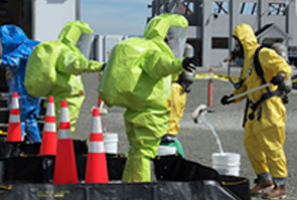 Providing hands-on preparedness training, expert consultation, Emergency Response training, assessment of written Emergency Preparedness Plans, to meet mandatory regulations concerning hazardous materials, and OSHA compliance. We also provide Management and Emergency Responders with the required training to be able to respond whether or not the event is accidental or intentional. First On Compliance specializes in OSHA, NFPA, CFR, DOD, DHS, and State, local and organizational regulatory requirements. View the complete course/training catalog for detailed information regarding our courses.